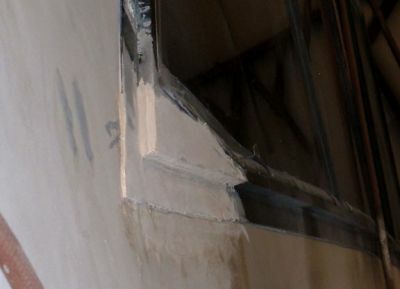 A piece of 1/2" core cell has been epoxied between the two window frames. This will now be glassed and painted black. 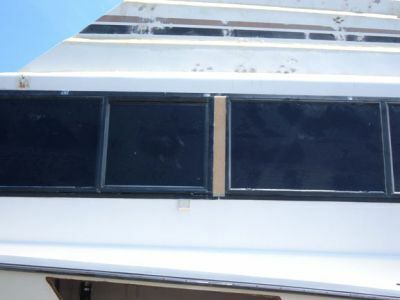 This process will make the window one and be a cleaner look. 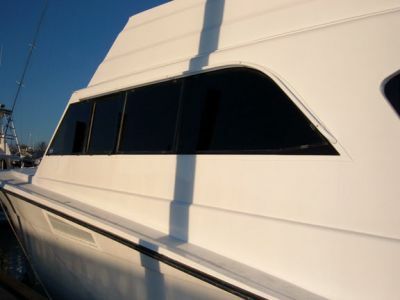 The void in the frame at the top and bottom will be filled and the entire frame will be faired into the house side and glassed to be painted white with the rest of the boat to make the window structure look smaller and cleaner. Don is doing the mud work that will change the window shape. 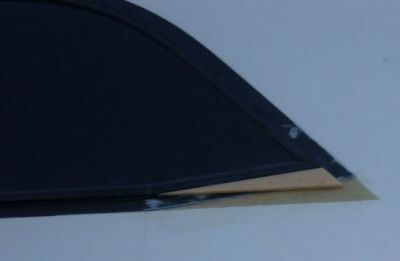 The more pronounced, raised part will be painted black to match the existing window and the lower area will be blended into the frame of the window. The frame portions of all windows will be painted white. 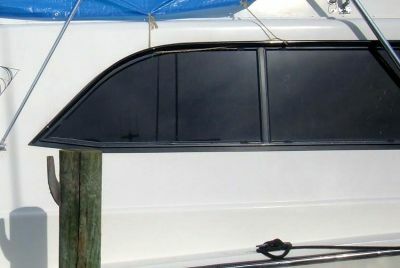 This painting and shaping will give the entire window a different and smaller look that we feel will enhance the boat. The filled in center and redesigned lower back section, we believe, give her a cleaner look. Also, painting the frame and hand rail white made the windows look sleeker. The white rail will not attract heat like the black paint had. A common sense approach.